The Diamond Queen: Elizabeth II and Her People was one of the first books published in honour of Queen Elizabeth II’s Diamond Jubilee. Andrew Marr, a British journalist and political commentator, wrote it as a companion to a landmark BBC documentary series about the Queen’s life and reign. Marr is also the author of The Making Of Modern Britain and other works about the recent history of the British Isles. 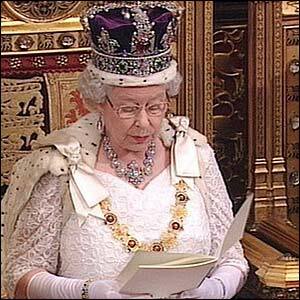 The Diamond Queen is therefore steeped in the historical context of both the twentieth century monarchy and broader political and social change in the United Kingdom and the rest of the commonwealth. Marr’s work complements the other Diamond Jubilee books about the Queen, providing a fresh perspective on Elizabeth II’s sixty year reign. 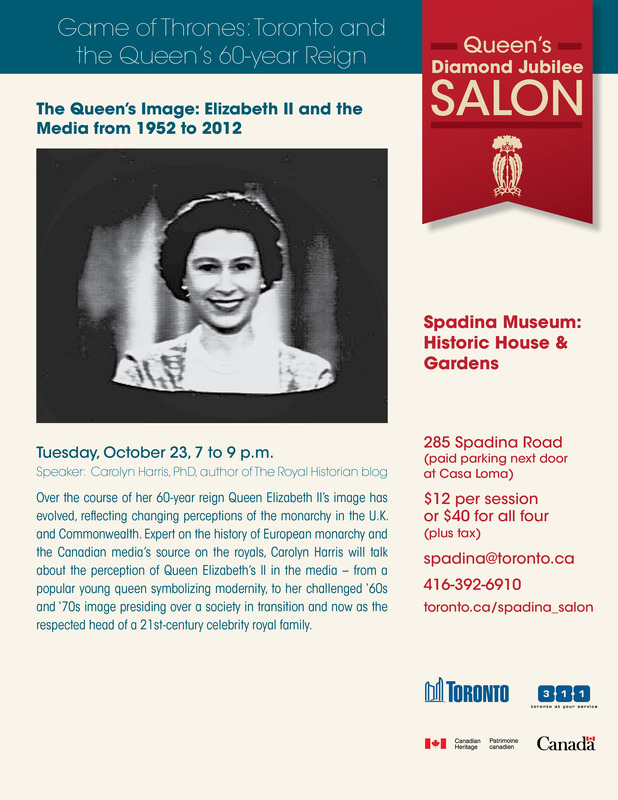 While Robert Hardman focuses on the Queen’s household and duties, Sally Bedell Smith looks at the Queen’s personality, and Ian Bradley analyzes her role within the Church of England, Marr looks at the people and broader historical trends who have shaped Elizabeth II’s approach to her reign. The first hundred pages are the story of her parents, paternal grandparents and other relatives who made their mark on the twentieth century monarchy and the education of the young princess and queen. Marr’s analysis of Queen Mary’s influence over the first twenty-five years of Elizabeth’s life is particularly fascinating as George V’s consort is often portrayed by her biographers as a pillar of tradition rather than an influence over an evolving twentieth century monarchy. 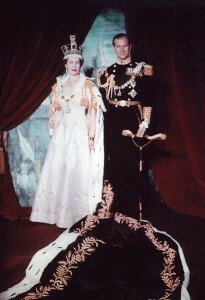 Elizabeth II’s paternal grandmother broadened her education by taking the young princess to museums and art galleries, contributed to the development of the philanthropic monarchy, and, in the last years of her life, influenced the debate concerning Prince Philip’s role within the royal family. I would have been interested to see Marr extend his discussion of Queen Elizabeth II’s family to include the influence of her Bowes-Lyon relatives. As the correspondence reprinted in William Shawcross’s Queen Elizabeth: The Official Biography Of The Queen Mother demonstrates, the young princess spent time with her mother’s parents while George VI and Queen Elizabeth toured the commonwealth and her Bowes-Lyon cousins remain among her closest friends. When Elizabeth II ascended to the thrones of Great Britain and fifteen other Commonwealth realms in 1952, her relationships with her Prime Ministers defined the political climate of her reign. In contrast to biographers who often present the Queen’s interest in the commonwealth through the chronology of her royal tours, Marr looks at her interactions with political figures throughout the commonwealth, devoting a chapter to the monarchy’s role in the decolonization of Africa. In her role as Head of Commonwealth, the Queen continues to exert quiet political influence, encouraging dialogue between the world’s English speaking nations. Canadian readers will be particularly interested in Marr’s analysis of the Queen’s rapport with Prime Minister Pierre Trudeau and her role in the repatriation of the constitution. One of the fascinating themes of The Diamond Queen is the relationship between the monarchy and the social and cultural changes that have occurred during the six decades of the Queen’s reign. In different decades, various members of the royal family appeared to reflect the ideals of the times from the Queen herself to the Duke and Duchess of Cambridge in the 21st century. In the 1950s, the Queen and Prince Philip appeared to be the most modern members of the royal family, agreeing to televise the coronation and traveling across the Atlantic by airplane. In the 1960s and 1970s, Princess Margaret seemed to capture the mood of the times, with her vibrant social life and unconventional marriage to society photographer Anthony Armstrong-Jones. Marr presents a sympathetic account of the Princess’s difficulties living in the shadow of her reigning elder sister and is deeply critical of what he describes as the “archaic” Royal Marriages Act, and its role in preventing her from marrying her first love, Group Captain Peter Townsend. In my review of Penny Junor’s recent biography of Prince William, I observed that any biography of a living person is necessarily a work in progress. This conclusion applies as much to the Queen at 86 as it does to Prince William at 30. 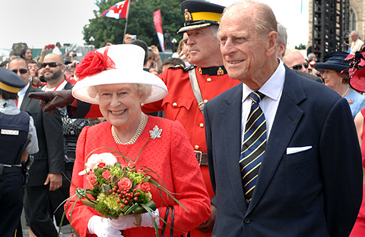 Since The Diamond Queen was published in 2011 and Marr concludes his narrative with the wedding of the Duke and Duchess of Cambridge, he predicts a bleak future for the monarchy in Canada. 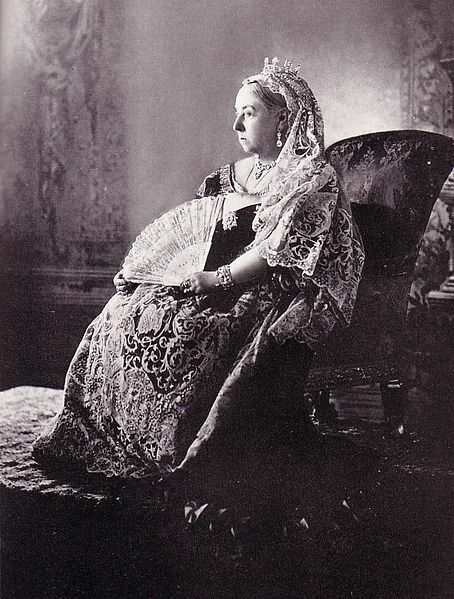 If an updated version of the book were published today, Marr’s ideas on this subject might be different as the Diamond Jubilee and the Duke and Duchess of Cambridge’s successful tour have contributed to a revival of interest in the Canadian crown. Andrew Marr’s The Diamond Queen was the original account of Elizabeth II’s six decade reign and remains a vital component of any Diamond Jubilee library. Marr places the Queen within the political and social context of her times, analyzing the people and events that shaped her character and reign. During my Masters and Doctoral studies in history at Queen’s University at Kingston, one of the Professors on my thesis committee advised me to read the entire King James Bible from beginning to end. A full understanding of the various periods I was studying, including Early Modern Europe (1500-1800), Ireland from 1798 to the present, the expansion of the Early Modern Atlantic World, would not be possible without familiarity with this key aspect of the worldview of the period. And so I bought myself an impressive looking copy of the King James, found a comfortable chair in the reading room at the top of Douglas Library with the stained glass windows and settled in for a long and interesting read. By the time I finished reading the King James Bible, I had gained a great deal of insight into historical change, literature, Renaissance Art and the English language. In God Save the Queen: The Spiritual Heart of the Monarchy, which has been fully updated and revised on the occasion of Queen Elizabeth II’s Diamond Jubilee, Ian Bradley similarly argues that it is impossible to understand the true significance of the monarchy without a knowledge of its religious history. 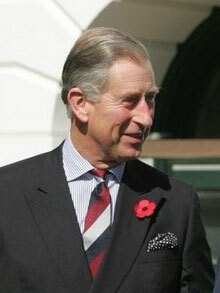 Bradley, a Reader in Practical History and Theology at the University of St. Andrews, a minister in the Church of England and an author and broadcaster, provides a sweeping history of the relationship between the monarchy and the church, providing a counterpoint to recent conceptions of the royal family as mere celebrities. Bradley’s work is part of a recent revival of interest in the monarchy’s religious role, which includes the writing of John Hall, Dean of Westminster, Queen Elizabeth II and Her Church: Royal Service at Westminster Abbey. Bradley provides the full historical context for debates concerning the religious role of the monarchy including proposed changes to the Act of Settlement to allow dynasts to marry Roman Catholics, and whether the coronation of the next monarch should include representatives from a broad range of faiths. 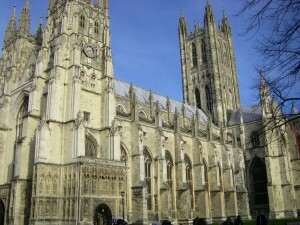 While many books published in honour of the Diamond Jubilee focus exclusively on the current monarch and her immediate predecessors, Bradley looks at portrayals of kingship in the Old and New Testaments then analyzes the full sweep of British religious history from the Arthurian legends to the present day. During the course of God Save the Queen, Bradley discusses the conversion of the Saxon monarchs, the conflict between King Henry II and his “turbulent priest” Thomas Becket, King Henry VIII’s break with the Church of Rome, King James I’s comission of a new translation of the Bible, Queen Victoria’s affinity for the low church rituals of the Church of Scotland, and Queen Elizabeth II’s personal piety and devotion to her duties. One fascinating theme that appears throughout God Save the Queen is the involvement of royal women in religious change throughout British history. Saxon Queens patronized Christian missionaries and exerted political and spiritual influence by persuading their husbands to convert. Medieval Queens and princesses founded religious houses. Queen Elizabeth I reformed the Book of Common Prayer and Queen Victoria was instrumental to the development of the philanthropic monarchy that exists today. 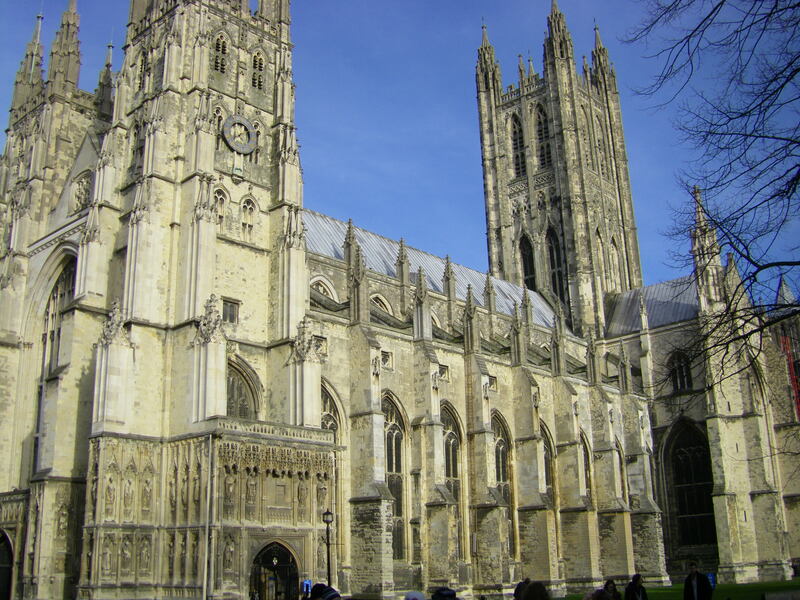 The changes wrought by successive monarchs and their consorts had a profound effect on the current relationship between the monarch and the Church of England. The most significant public occasions involving the royal family have emerged from this religious history including royal coronations, weddings, funerals, and the Queen’s Christmas message. Bradley makes a compelling case for maintaining the monarchy’s religious traditions, which have evolved over hundreds of years instead of dismissing them as irrelevant in the twenty first century. God Save the Queen is a fascinating history of the monarchy and the church. Bradley writes in an accessible and engaging style that will appeal to a broad range of readers from specialists in the field of British religious history to general readers curious to know why the Queen addresses the United Kingdom and the Commonwealth every Christmas Day. 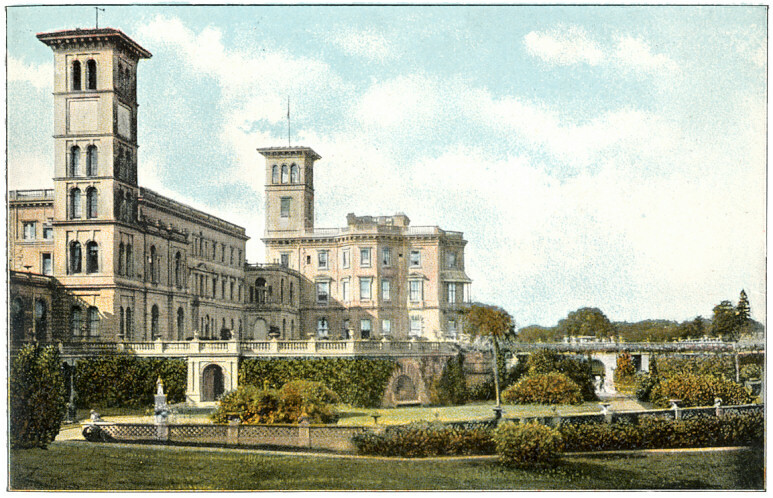 Osborne House on the Isle of Wight in 1910, after the former royal residence had been converted into a Naval College. With the 2012 Summer Olympics beginning opening today in London, the Diamond Jubilee celebrations ended yesterday in the United Kingdom with visits by Queen Elizabeth II and the Duke of Edinburgh to the New Forest and Isle of Wight. The Queen and Duke of Edinburgh arrived in Cowes, the site of the world’s oldest Regatta, and former holiday destination of nineteenth and twentieth century royalty, through a “Parade of Sail,” and were greeted by a 21 gun salute fired by the Royal Yacht Squadron. The royal party walked along the seafront, unveiling a plaque commemorating their visit and opening a new lifeboat station. 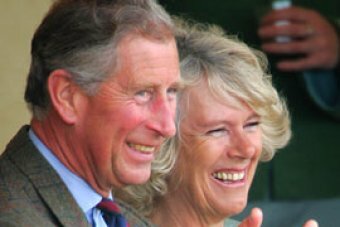 After returning to Hampshire, the royal party toured the New Forest Agricultural Showground. The Isle of Wight and the New Forest are an appropriate place to end the Diamond Jubilee celebrations in the United Kingdom as both regions have a rich royal history. Osborne House on the Isle of Wight was a favourite residence of Queen Victoria while the New Forest was the setting of pivotal events in the history of the Plantagenet dynasty. 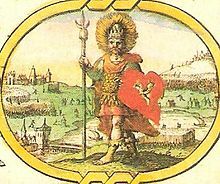 Seventeenth century image of Cerdic, the earliest Saxon King and the first named ancestor of the current Queen. According to the Anglo-Saxon chronicle, Queen Elizabeth II’s earliest recorded ancestor, Cerdic, invaded and conquered the Isle of Wight in 530, leaving it to his nephews, whose descendants ruled the island until its absorption into the Kingdom of Wessex in 685. 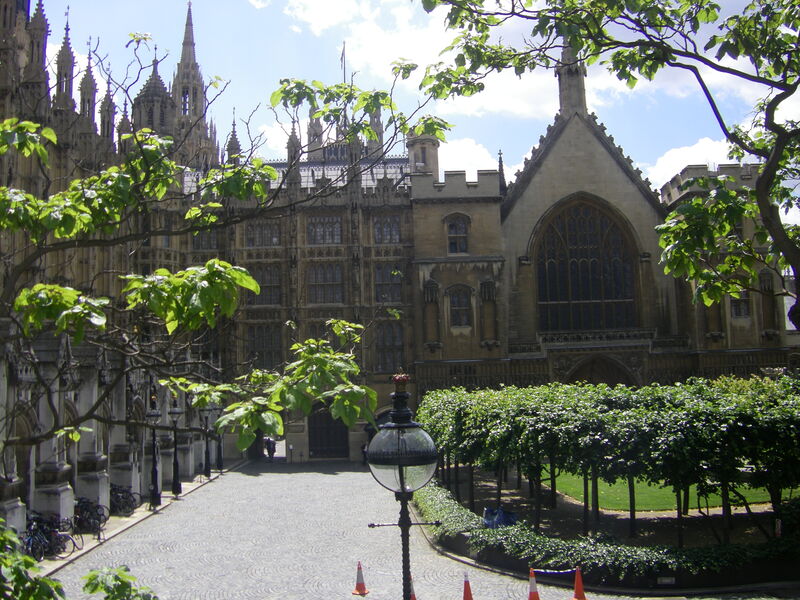 The last Saxon King of England, Harold II and his brother Tostig had estates on the island and used their lands there to supply their rebellion against King Edward the Confessor and eventual showdown against each other at the Battle of Stamford Bridge. The Norman Conquest of 1066 brought immense changes to both the New Forest and the Island, which is described as “Wit” in the Domesday Book. William the Conqueror enclosed the New Forest as a royal park for deer hunting, reputedly evicting the Saxon families who resided in the region. Edward Rutherfurd’s novel, The Forest, contains a dramatic scene of a Norman deer hunt with beaters driving the animals toward the noble hunting party. The deaths of two of William I’s sons, Prince Richard and William II, in hunting accidents in the New Forest were interpreted during the eleventh century as divine judgement against the enclosure of these lands and removal of the original residents. 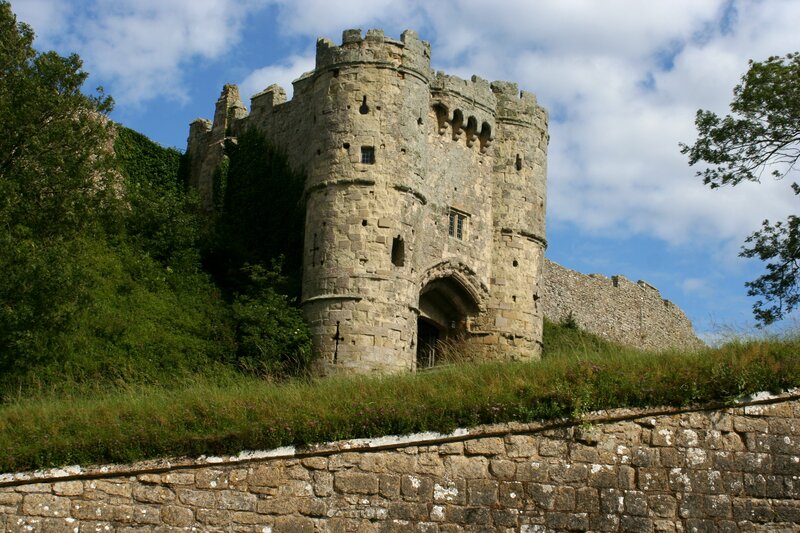 In contrast, the Isle of Wight was awarded to the Norman FitzOsburn family, who commissioned the original Carisbrooke castle. The Island did not return to the crown’s control until 1293, when Edward I purchased the land as part of his attempted consolidation of authority over the British Isles. The comparatively remote locations of the New Forest and the Isle of Wight made these regions attractive to royalty or nobility seeking sanctuary during the Wars of the Roses and English Civil Wars. 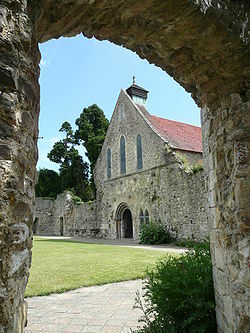 Beaulieu Abbey in the New Forest sheltered a diverse range of important personages including Richard III’s future wife Anne Neville and her mother, the Countess of Warwick, Henry VI’s consort Margaret of Anjou and Perkin Warbeck, who claimed to be one of the lost Princes in the Tower. The Abbey was dissolved during the reign of Henry VIII. In 1647, King Charles I escaped from parliamentary custody at Hampton Court, intending to flee to the Isle of Jersey. The King and his companions reputedly became lost in the New Forest and missed their intended ship, ultimately fleeing to the Isle of Wight. The Island’s Governor, Robert Hammond, supported the parliamentary cause and held the King prisoner in Carisbrooke Castle. 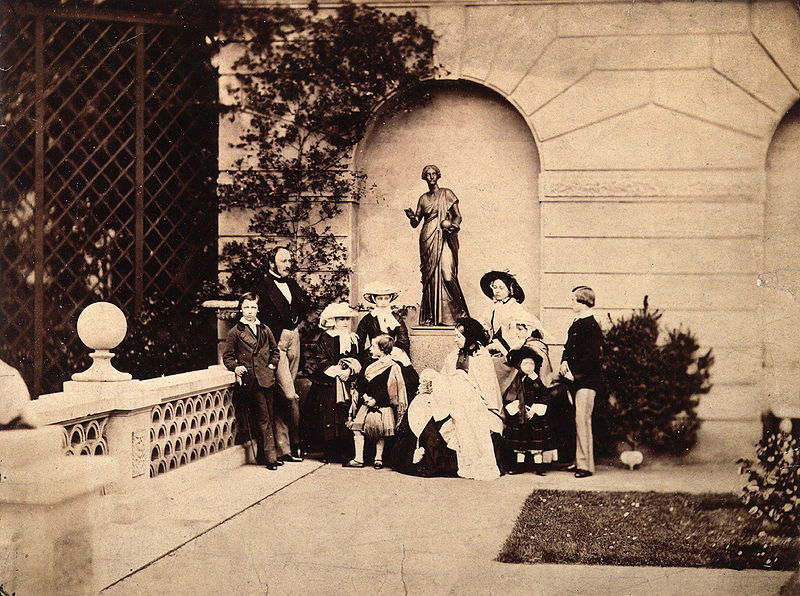 Queen Victoria, Prince Albert and their nine children on the terrace at Osborne House, Isle of Wight. The Isle of Wight had much happier associations for Queen Victoria who envisioned the Island as a place where her family could holiday by the seaside. Prince Albert designed Osborne House in the style of a Renaissance Italian villa and oversaw its construction between 1845 and 1851. Queen Victoria was the first British monarch to go on holidays with her children and there was immense public interest in the comparatively informal lives of the royal family on the Isle of Wight. Thousands of prints and photographs of the royal family were sold to the public, prompting Queen Victoria to remark, “No Sovereign was ever more loved than I am (I am bold enough to say).” The cheerful atmosphere at Osborne changed when Prince Albert died in 1861 and Queen Victoria preserved his rooms as they were during his life. Queen Victoria’s children had very different memories of their holidays on the Isle of Wight. Her eldest son dismissed Osborne House as “a mausoleum” and “surplus to our requirements,” ultimately selling the building to the Naval College. 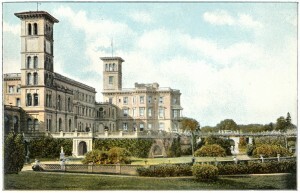 In contrast, his sisters Princess Louise and Princess Beatrice retained property on the Isle of Wight. Beatrice was Governor of the Island from 1896 to her death in 1944 and resided at Carisbrooke Castle. According to her biographer, Matthew Dennison in The Last Princess: The Devoted Life of Queen Victoria’s Youngest Daughter, “The position provided her with a fixed purpose and an enduring interest when, after the Queen’s death, she found herself increasingly marginalized from the centre of royal affairs (209).” Beatrice considered the Isle of Wight her home and gained the admiration and respect of its residents. 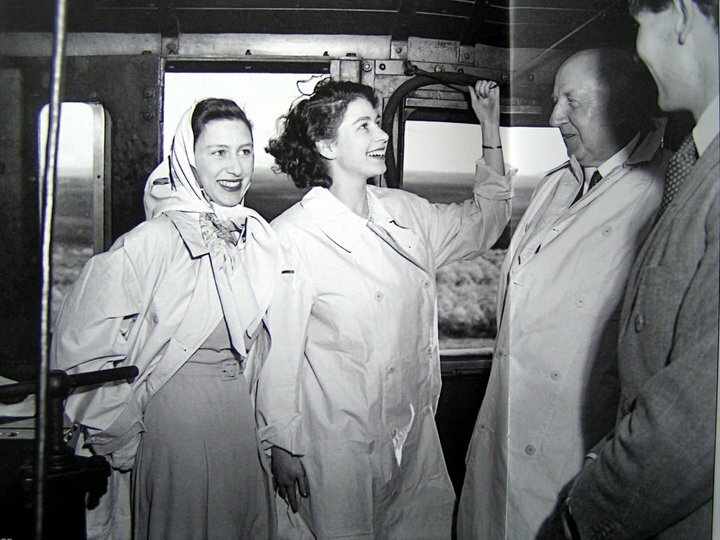 Queen Elizabeth II’s Diamond Jubilee tour of the United Kingdom ended in regions that have been associated with the monarchy for more than a thousand years. The New Forest provided hunting grounds for the Norman Kings and a place of sanctuary during the Wars of the Roses. The Isle of Wight has been a Saxon Stronghold, a Norman estate, Charles I’s place of imprisonment and Queen Victoria’s seaside retreat. 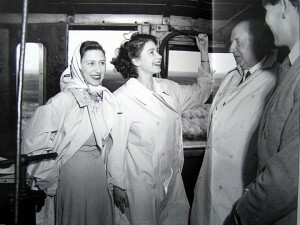 The Jubilee tour is the latest event in the colourful royal history of the New Forest and Isle of Wight.